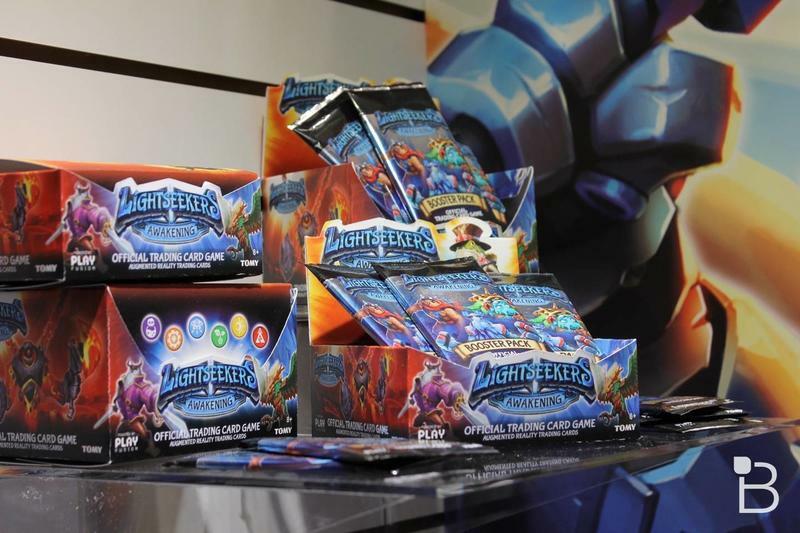 Lightseekers is a new mobile game… and a toy line… and a collectible card game. It’s a bit of everything. 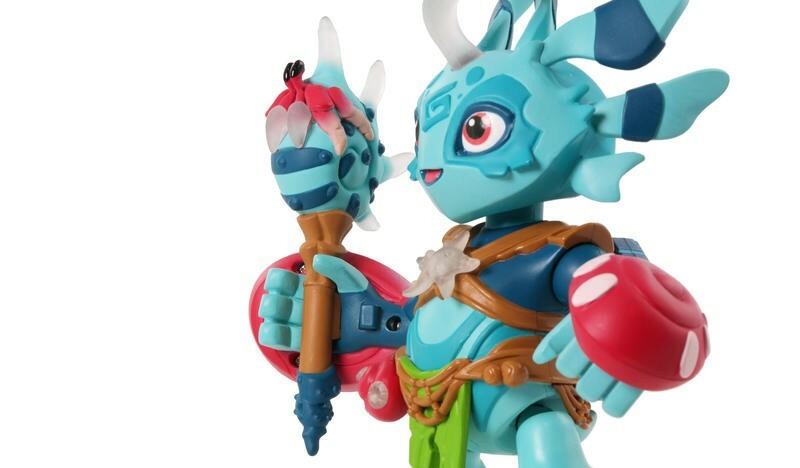 We got a chance to stop by the Tomy booth at Toy Fair and were introduced to a new property that will be hitting the world on April 17. 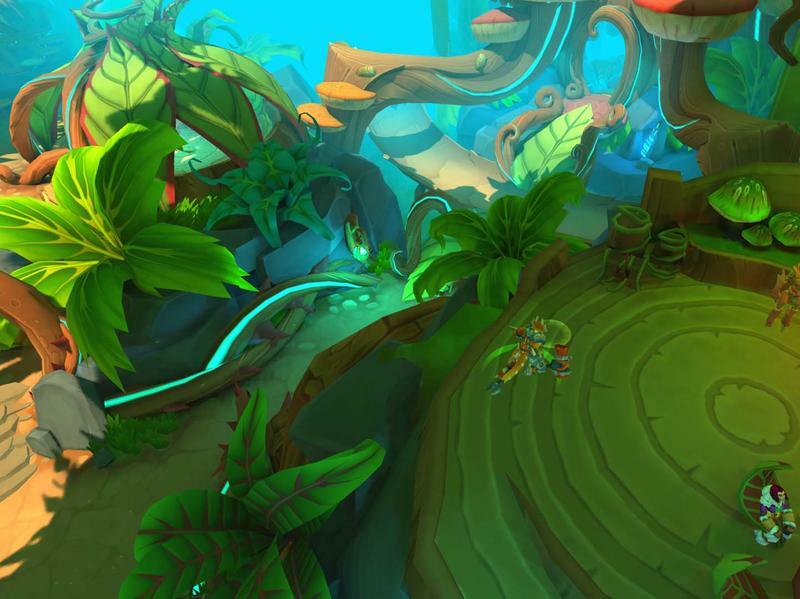 The Lightseekers mobile game will hit iOS that day with no in-app purchases. 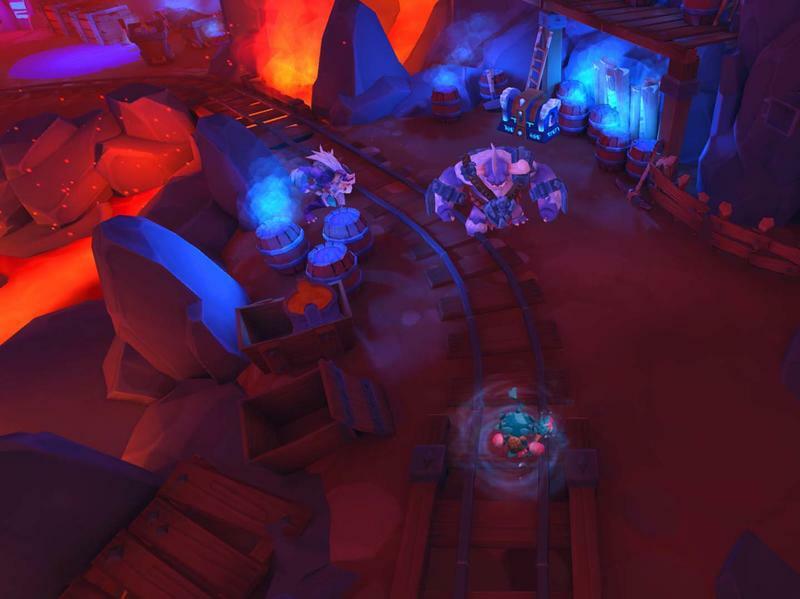 You will be able play through the main storyline without buying anything, but there will be some area of the map and bonus games that are locked or inaccessible unless you do go and buy some real world accessories. 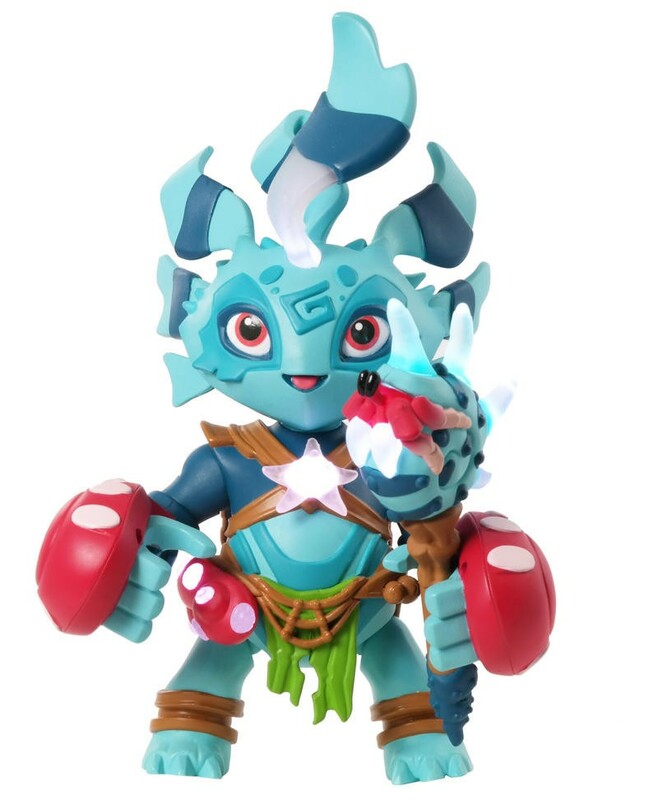 The big aspect of the game will be the Lightseekers figures. 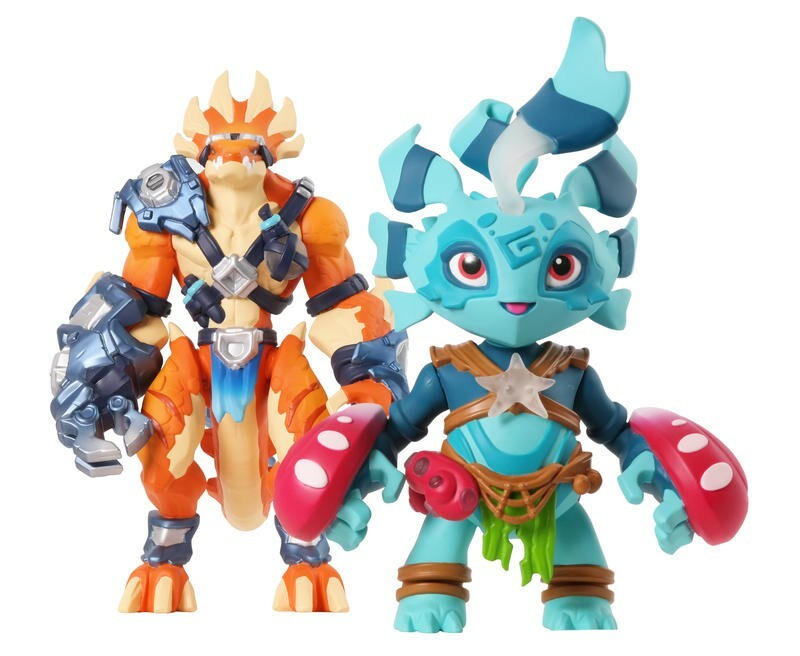 At launch you will be able to pick up both the Mari and Tyrax starter kits for $70 each. 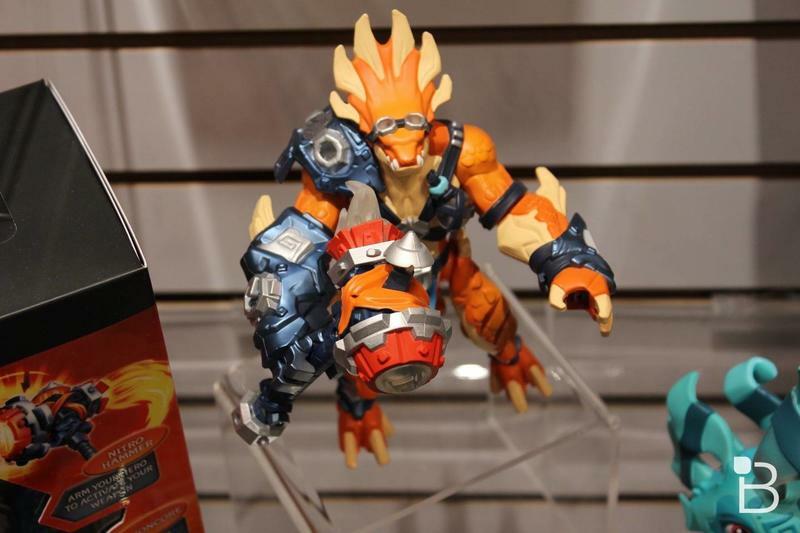 Each set will include a figure and a power core that will let the figures interact with the game via Bluetooth. 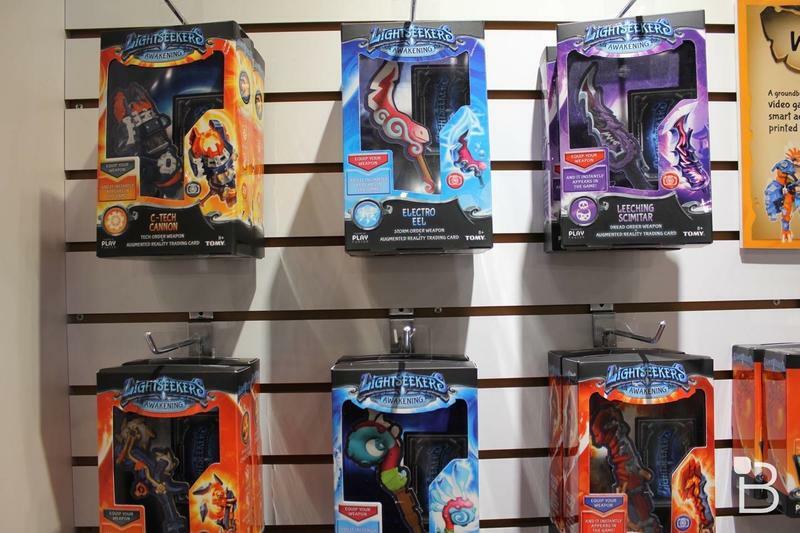 Various lights on the figures and their accessories – additional ones sold separately for $15 – will indicate your character’s status in the game. 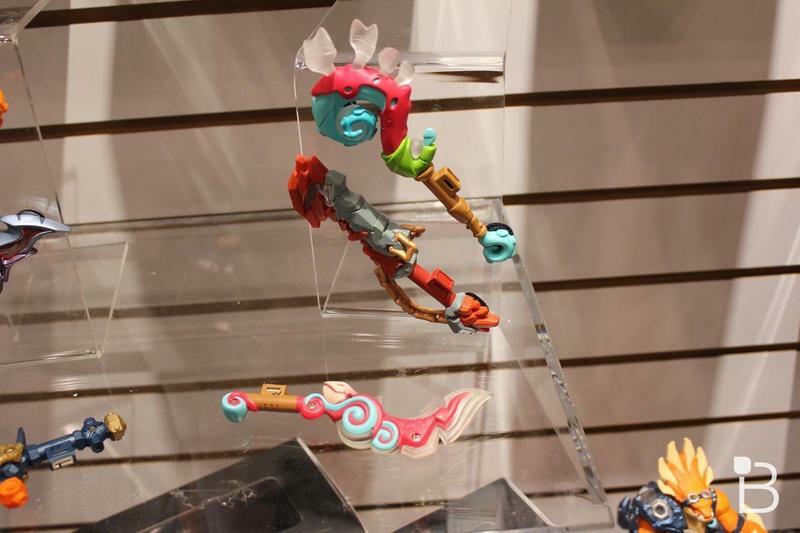 You’ll also be able to launch specific mini games, depending on which accessories you’ve equipped each figure with. 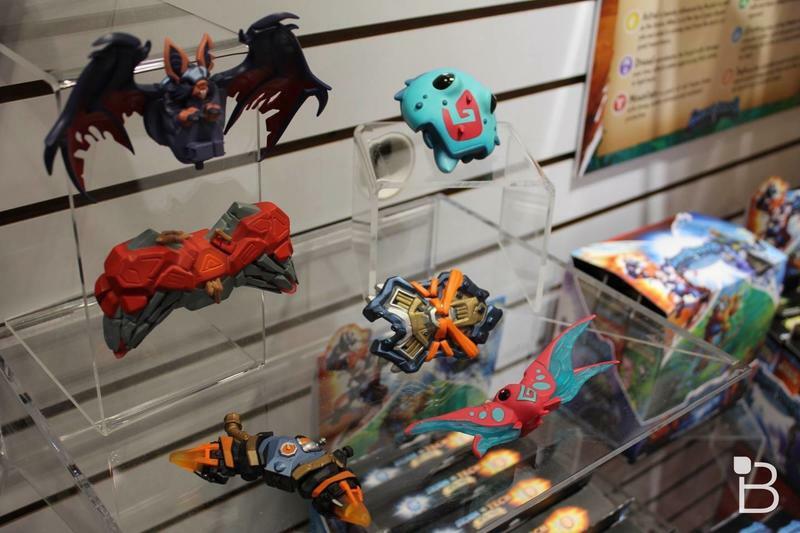 For instance, if you equip the flight pack on the figures, you’ll be able to partake in a flying race game, which has you racing to collect coins and swooping through hoops for missile ammunition and speed boosts. 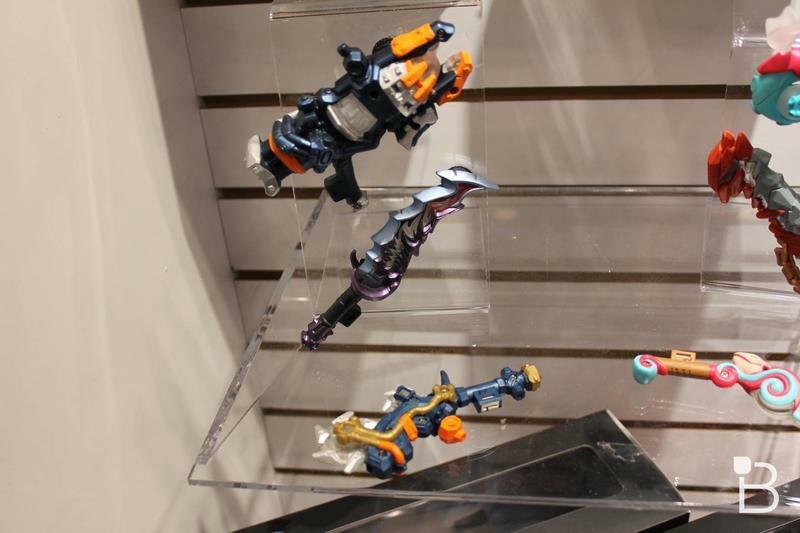 Other missions will depend on what type of weapon you have equipped. 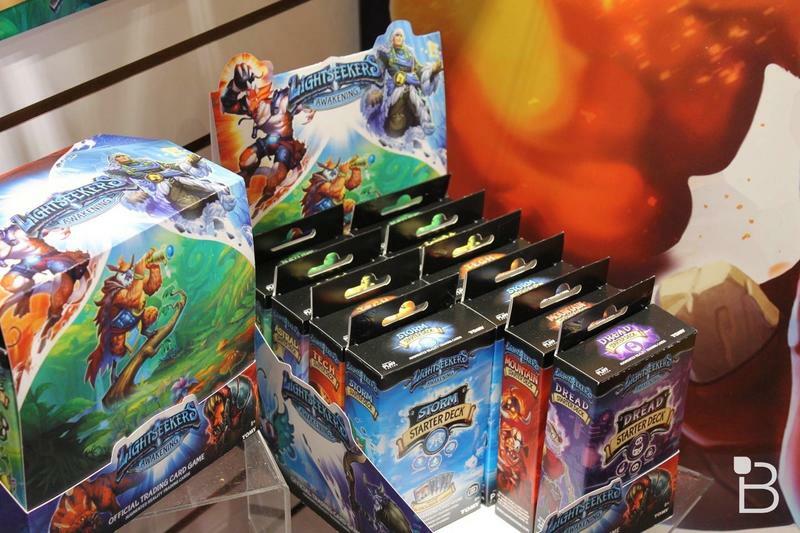 Then there is the collectible card game element. 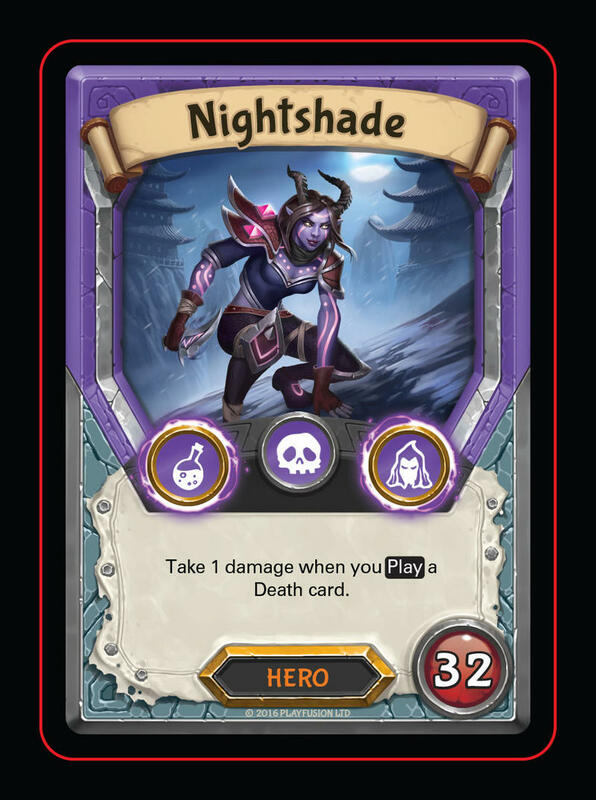 386 cards will be included in the first wave that you can play all by itself, but you can also scan the cards into your game for additional boosts and other helpful features. Do note, however, that once a card is scanned into your account, it is locked to it, so if you pick any up on the secondary market, make sure they haven’t already been redeemed. 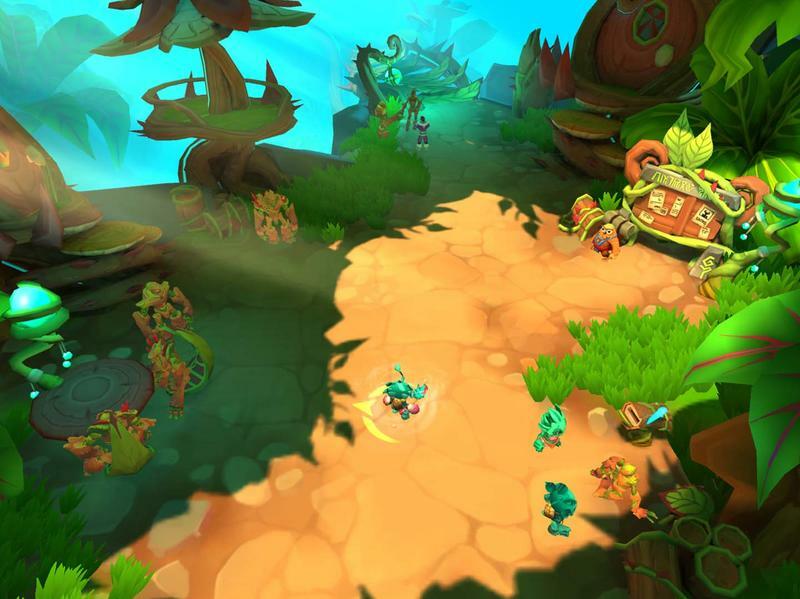 Lightseekers is a massive property launch on three fronts. Each one can be enjoyed on their own, but when you combine all three elements it sounds as though it’s going to make for an interesting mammoth property. If this was the 1980s I would have assumed an animated series wasn’t too far off either, but even in this day and age you have to wonder if we might eventually see one. 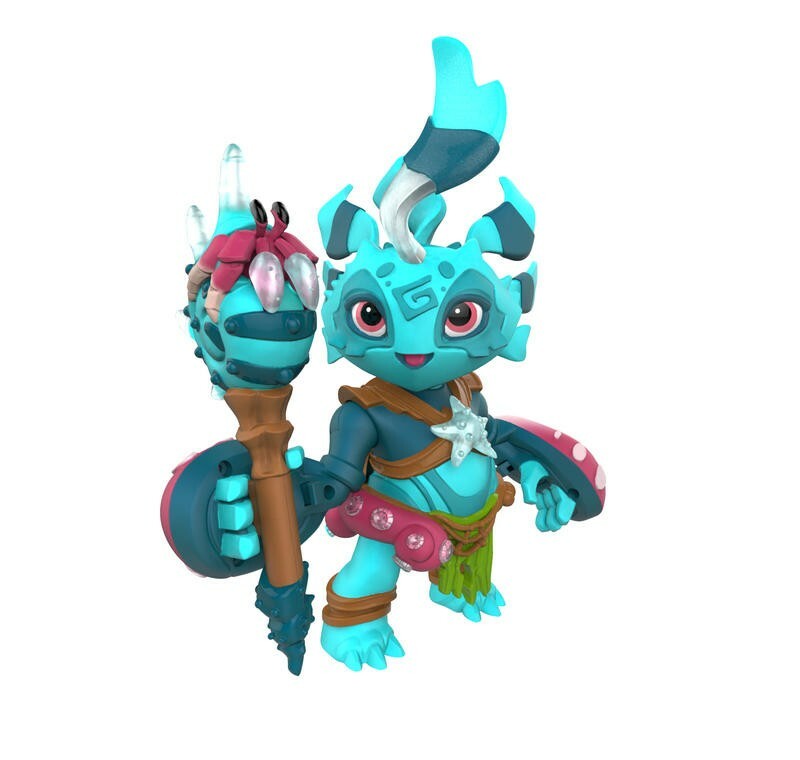 From my limited time with the app and toys, I’m intrigued. I didn’t get to play any of the CCG, but the cards looked nice and I’m always a sucker for a new game. 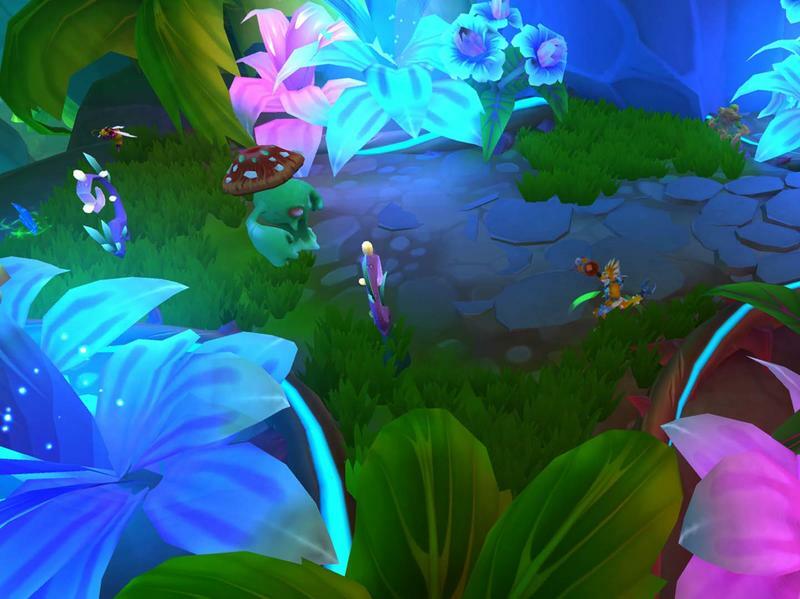 Keep your eyes peeled on April 17 when Lightseekers officially launches across three platforms. 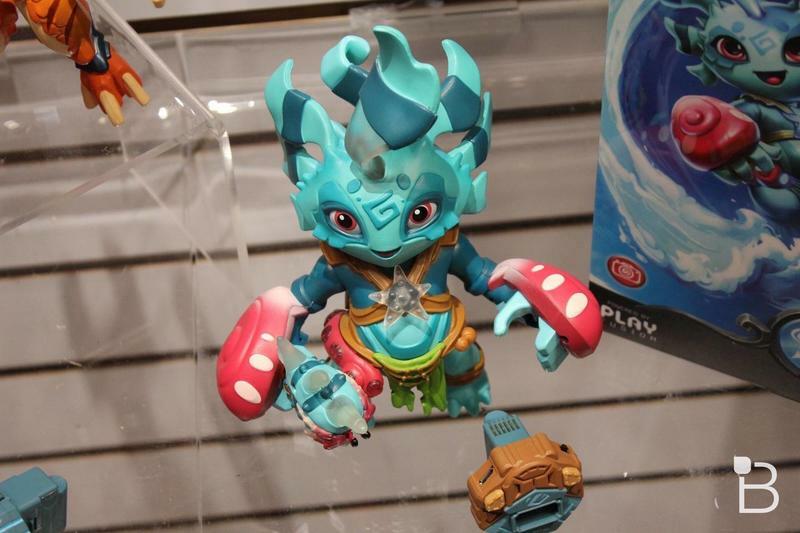 The app will be available that day, and Toys R’ Us will begin pre-orders for the physical products to launch on July 1. 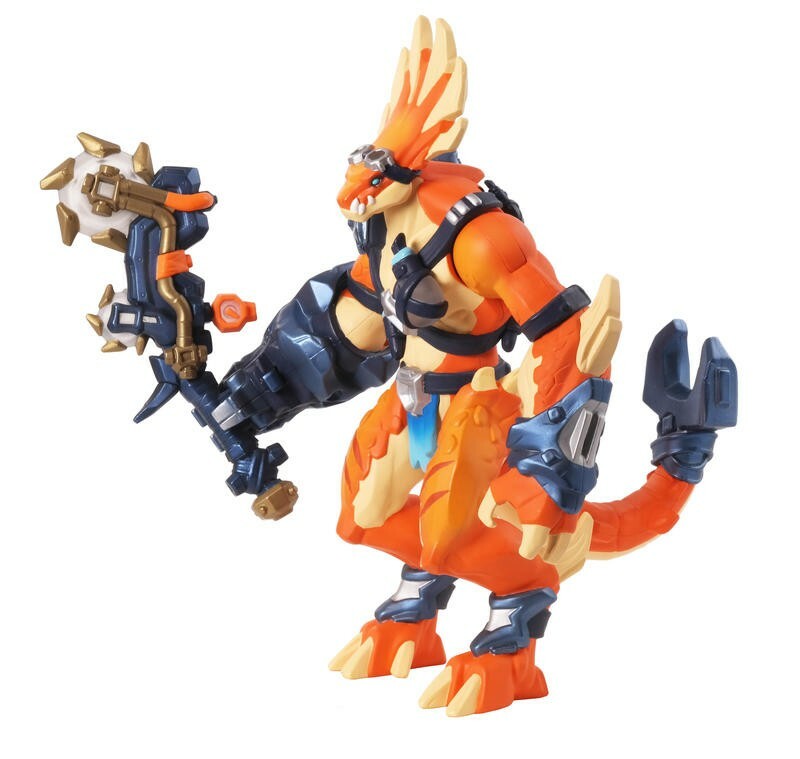 They will be a limited time exclusive to the national toy retailer.